Love Your Postcode™ is bringing a new estate agent franchise model to the property industry that is proven to work. From our first office opened in the West Midlands in 2000 we have one of the most recognised brands in the UK and are extremely proud of what we have achieved. Our network is growing at a steady pace and we are seeking to continue this growth. Love Your Postcode™ group are owned and managed by committed individuals who truly get the ethos and love the brand. These people are immersed in their local area; they’re part of the community. And that is what makes them successful. Our marketing strategy is our USP differentiating us from other estate agencies franchise model, you will be part of a brand that is recognised and seen literally everywhere. We are the face of modern state agency and have launched to the market unique and innovative products that are changing the way estate agencies work. If you are a driven and experienced property professional looking to take the next big step then we want to speak to you. We have a series of franchise opportunities for exceptional individuals who are looking to own their own business.  Every year Love Your Postcode™ Group is looking to grow. We are keen to find new and exciting locations where the brand would and should excel. All of our offices are independently owned and operated by our local experts and form part of an extensive and supported network. We’d like to speak to you if you are the owner of an existing estate agency, an experienced senior manager in the industry, or an entrepreneur who likes all that the Love Your Postcode brand represents. If you are serious about owning a successful business and are passionate about what you do – we would love to hear from you. Thank you for your enquiry regarding a Franchise opportunity with Love Your Postcode. The first stage of the process is a request for some basic information from yourself. Please can you explain the reasons why you have chosen these areas? If so, please give full details of this/these operations. Describe what experiences and knowledge you possess that would make you an ideal Franchisee. The information you have submitted will be forwarded to our Board of Directors. The information you have submitted will be processed and used in line with the GDPR legislation.